The cast of the classic movie Napoleon Dynamite is coming to Texas this fall. 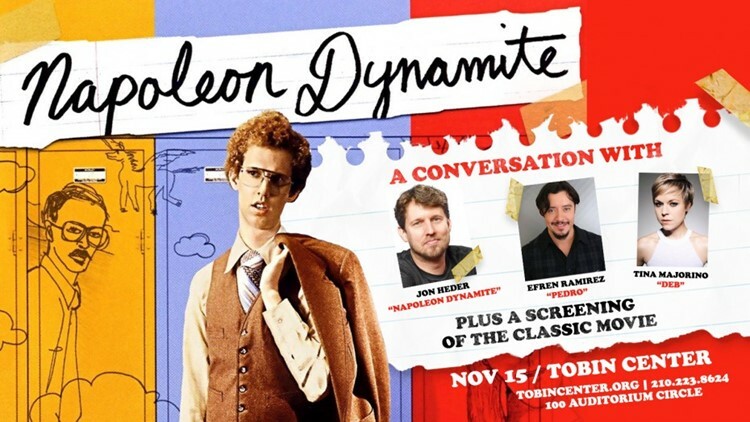 SAN ANTONIO -- Stars of the classic indie film 'Napoleon Dynamite' are heading to the Alamo City for a screening event at the Tobin Center on November 15. The event will feature a full screening of the 2004 comedy followed by a moderated conversation with cast members John Heder (Napoleon), Efren Ramirez (Pedro), and Tina Majorino (Deb). The event is on Thursday, November 15 at 8 pm. Tickets range from $29.50 to $135.